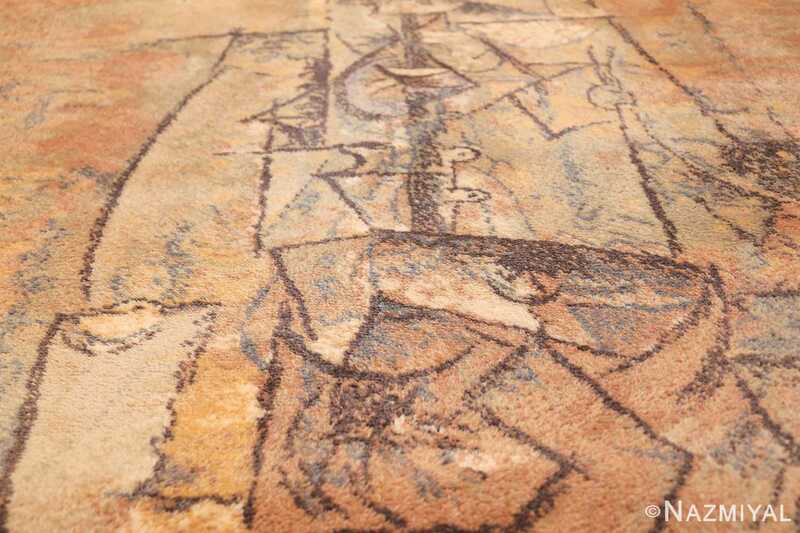 Breathtaking Vintage Ege Art Line Scandinavian Pablo Picasso Woman With Guitar Rug, Country of Origin / Rug Type: Scandinavia Rug, Circa Date: 1994 – If you are an art collector, or simply a person who loves art, this post modern art rug, based of the Pablo Picasso artwork “Woman With Guitar” is extra special. It was created by Ege Art Line, a company founded in 1938 by Mads Eg Damgaard. 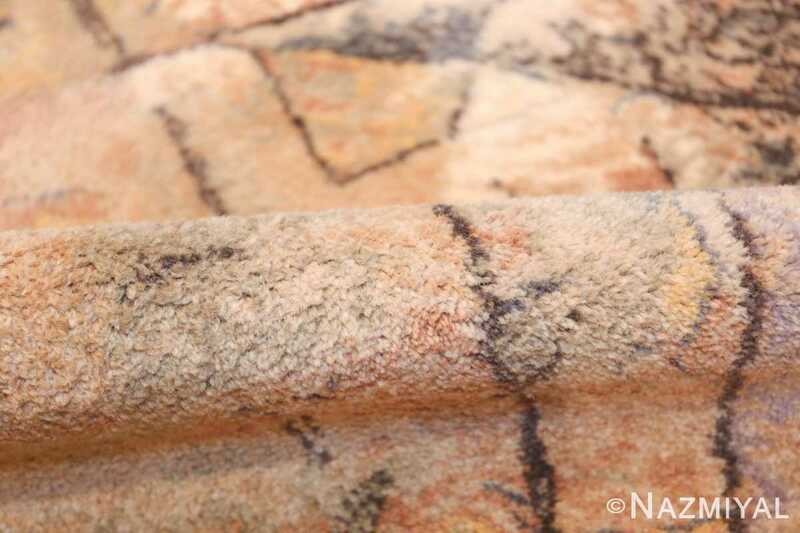 Its founder was uncompromising when it came to quality and using the latest technology available, a principle that the company still stands behind today. This breathtaking design of this art rug uses muted tones and dark lines to create a classic cubist design. Muted blues, pinks, yellows, ivories, and browns create the palette for this spectacular rug. The sharp lines contrast with subtle curves. 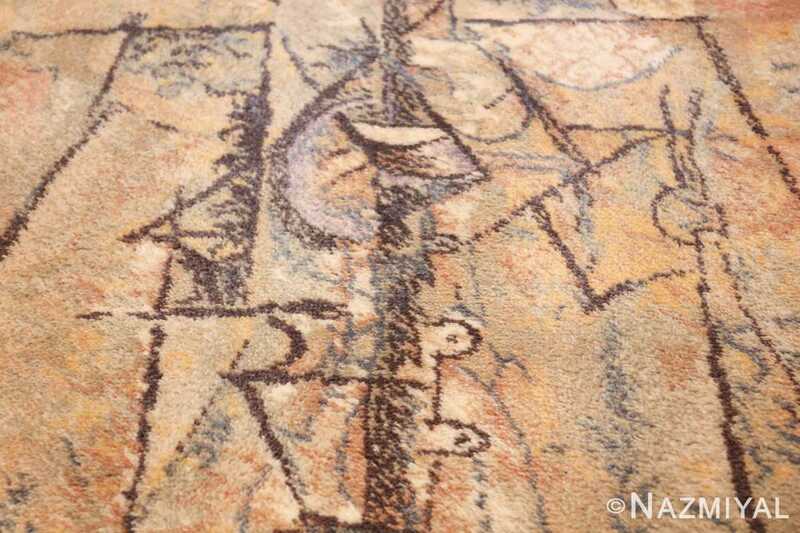 Black lines provide definition to the design and set it apart from the pastel and more neutral colored background. 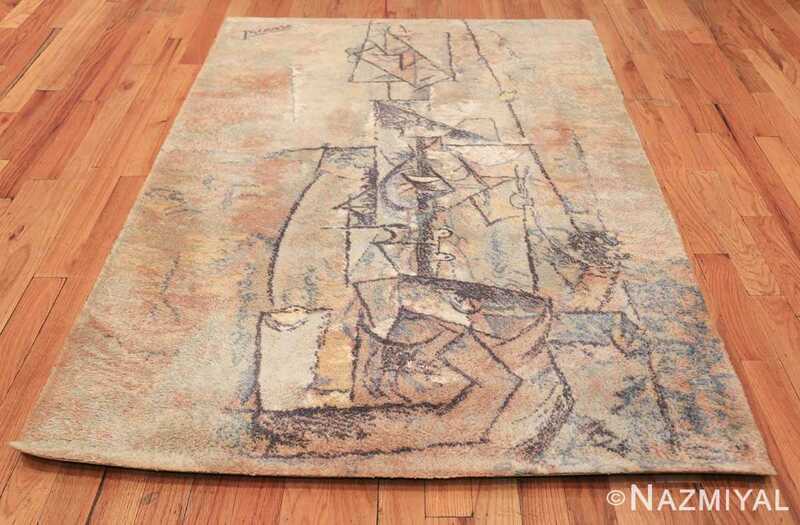 This Pablo Picasso Woman With Guitar rug has a quality that makes it appear as if it were a chalk drawing on a stucco wall. 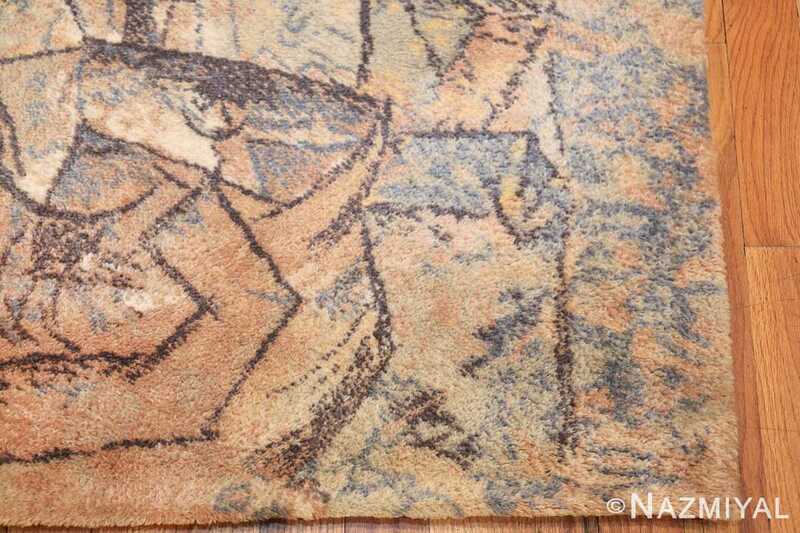 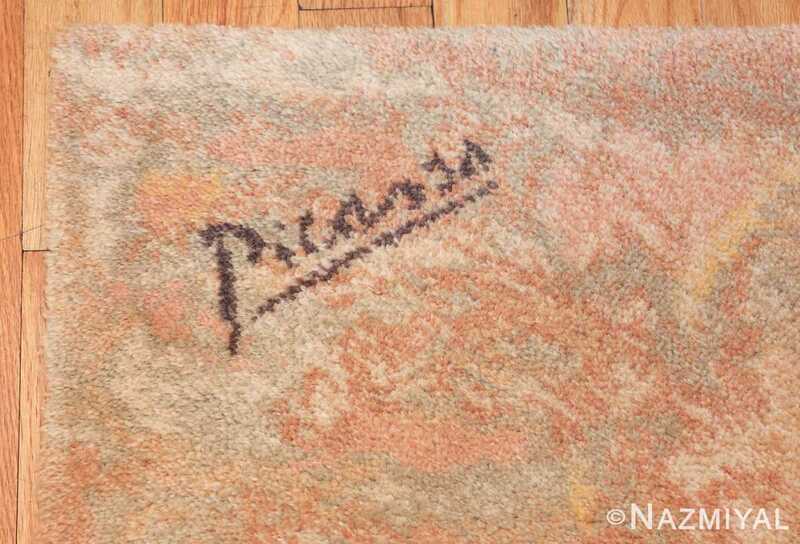 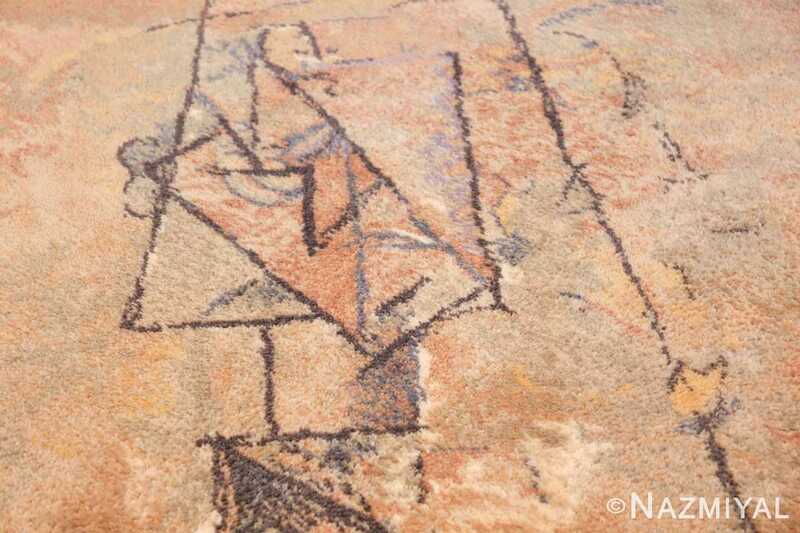 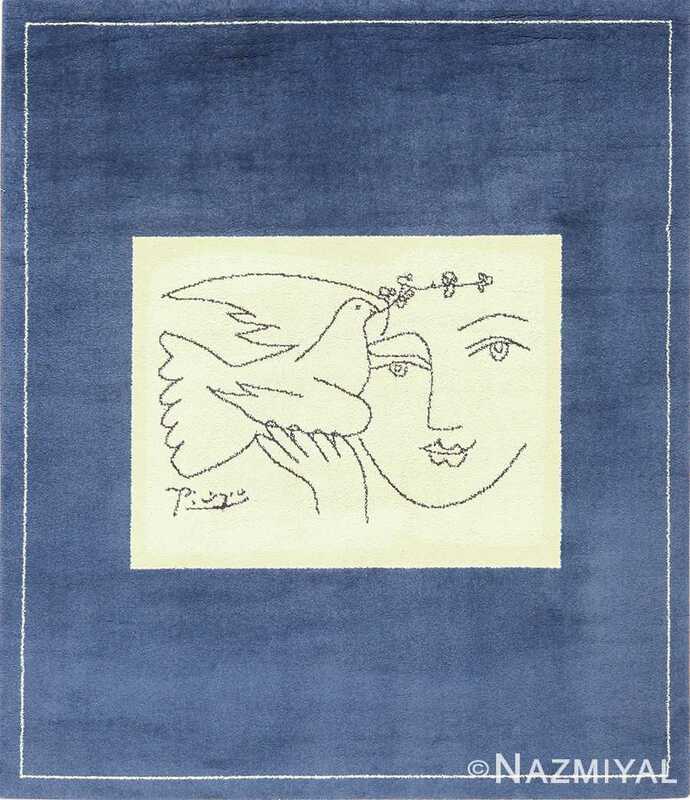 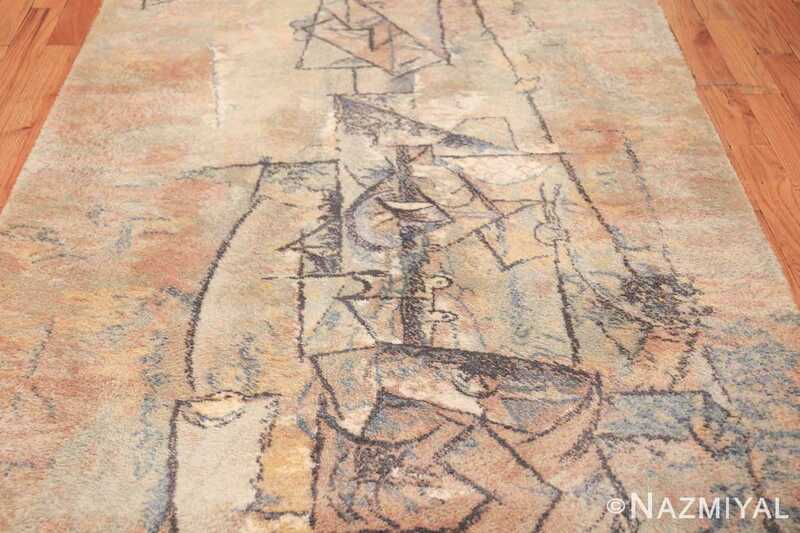 This specific vintage rug is part of a series of Picasso rugs that were commissioned by Picasso’s daughter in limited runs of 600 per painting. 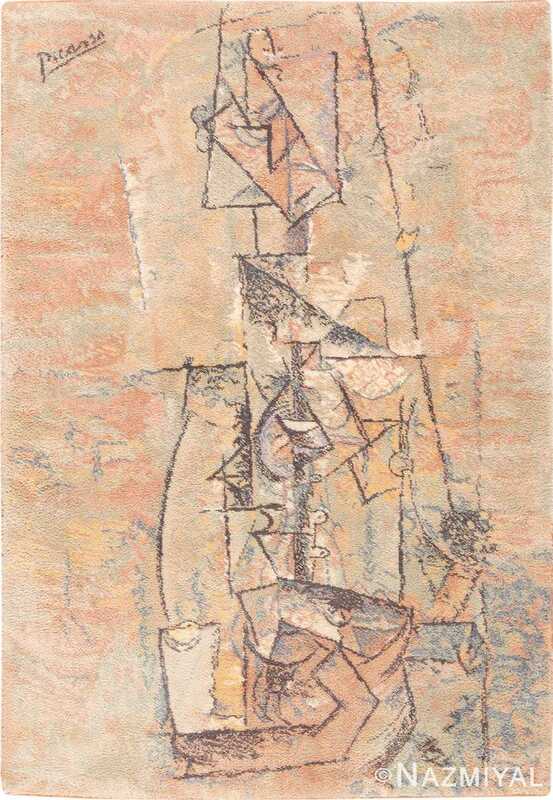 She chose six works to be created by Ege. 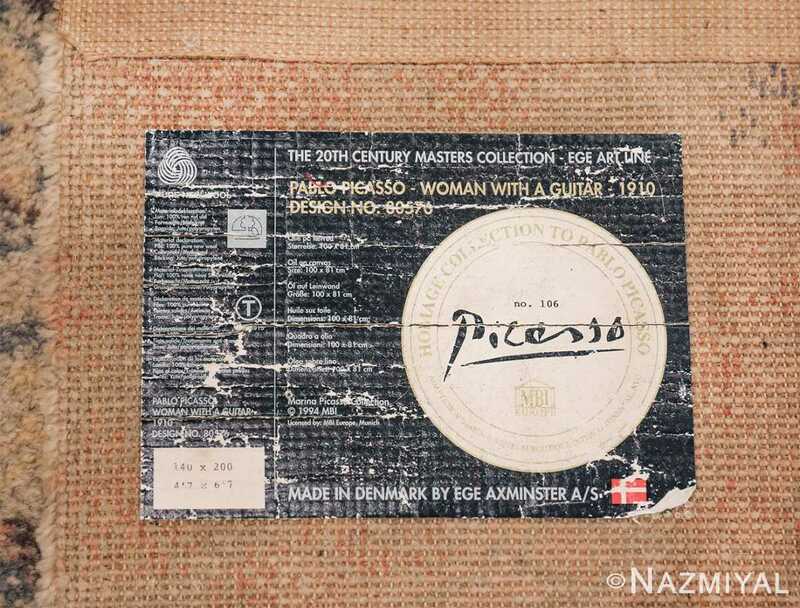 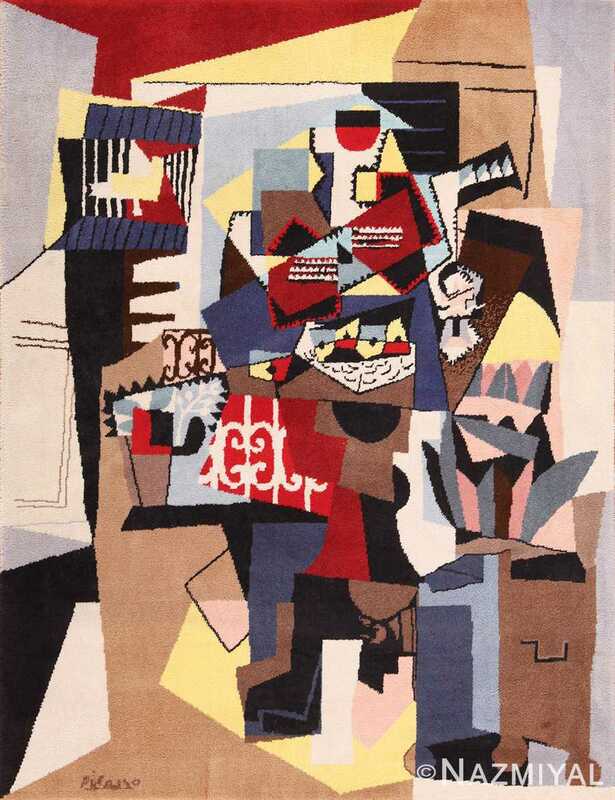 This Pablo Picasso Woman With Guitar rug is part of a select limited edition. It is the kind of piece that could be used as a magnificent Tapestry rug for the wall. 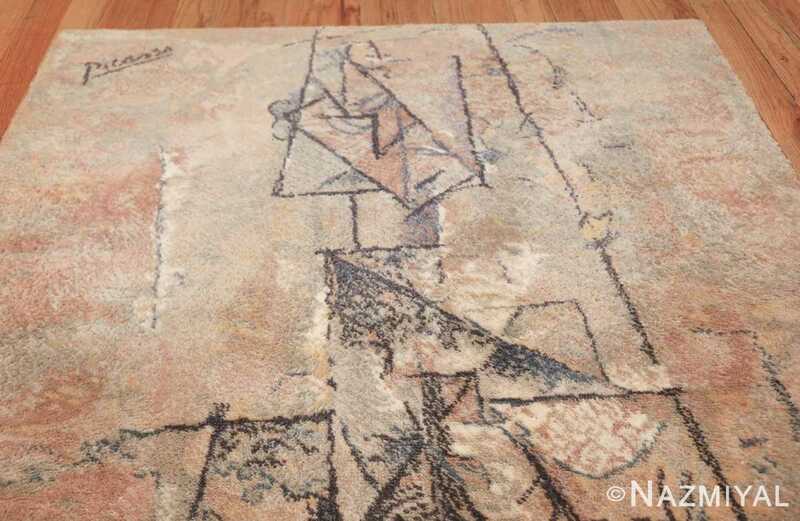 That said, its soft decorative and warm coloration, combined with its artistic impact, will make it a magnificent area rug as well. 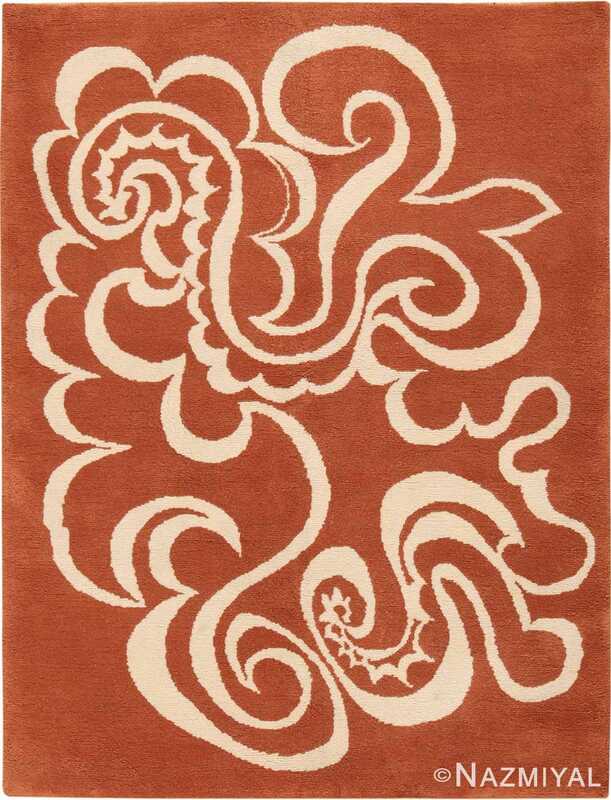 This is one magnificently artistic Scandinavian rug. 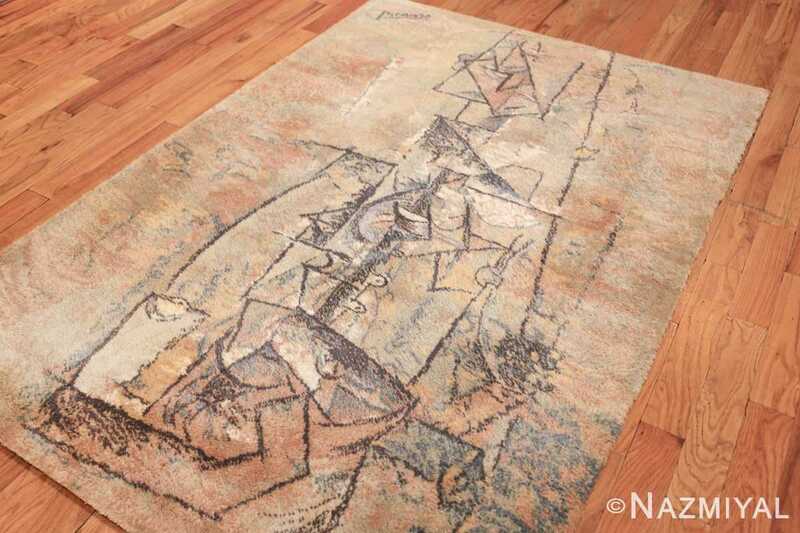 Regardless of how one chooses to display and use this piece, it is sure to make a beautiful addition to any home’s interior decor as well as a heirloom rug that will be appreciated by future generations to come.